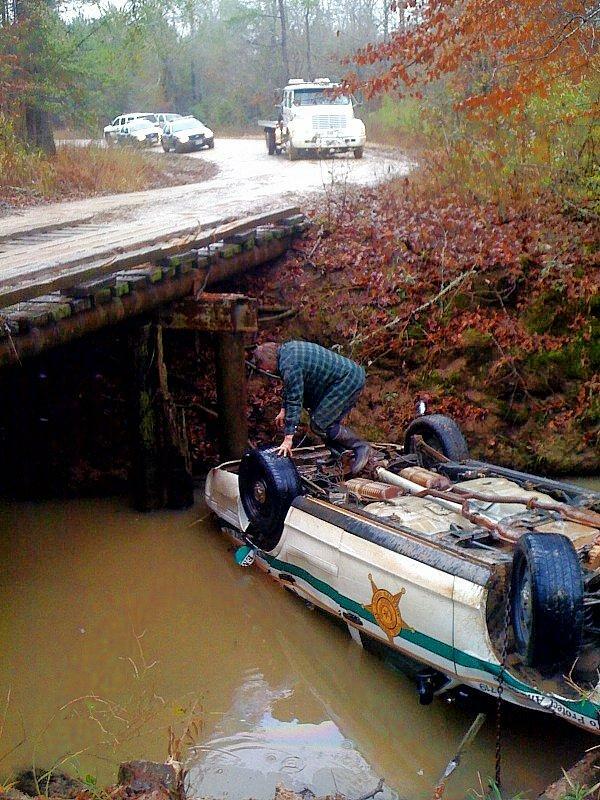 Sheriff's Deputy Goes Over Creek Bridge, EAST POLK COUNTY, January 18, 2011 - Early in the morning on January 18, 2011, Deputy Keith Franklin patrolling on Pucket Road near FM-2500. Franklin was radio dispatched to another situation. 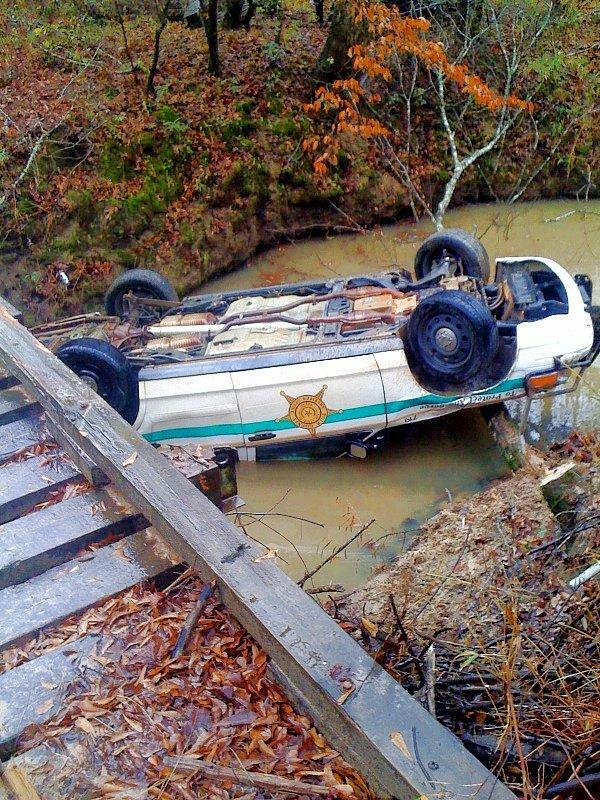 As Franklin was driving on Pucket Road, he drove over a creek bridge and his patrol unit slid off and turned upside down in the creek. Americare Ambulance Service was dispatched to the scene along with DPS Troopers Chris Stanbery and Donny Akers. Franklin managed to crawl out from his vehicle that was flipped in the water. 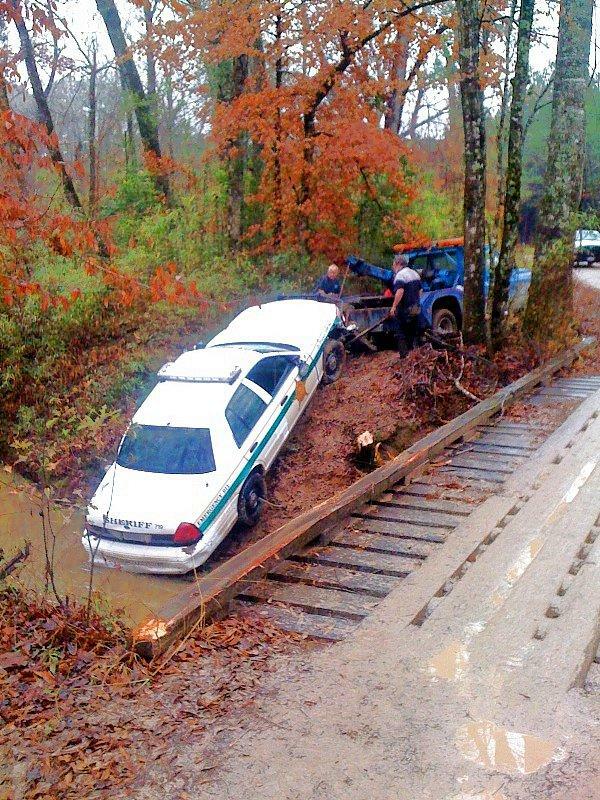 Amazingly, Deputy Franklin was physically okay. Franklin's vehicle was recovered by Vehicle Recovery Specialist Jim Harwood. The exact cause of the accident remains under investigation. 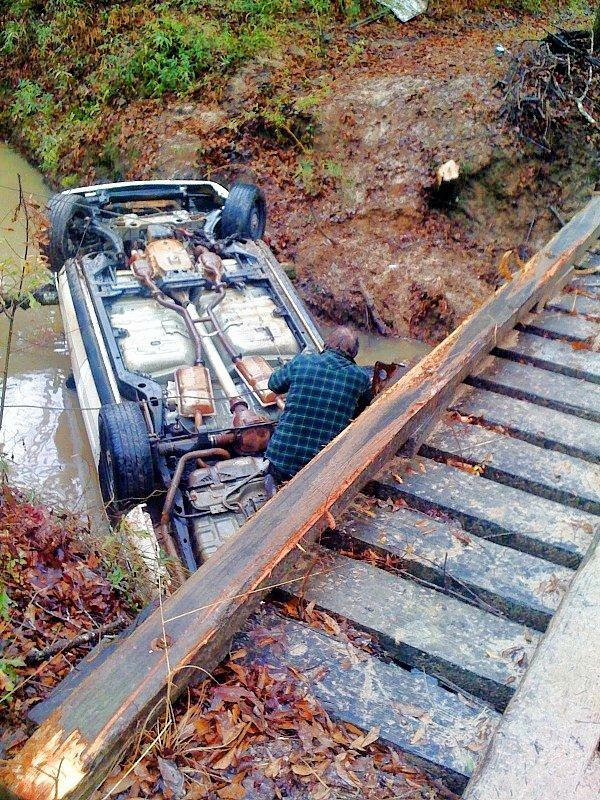 Vehicle Recovery Specialist Jim Harwood connects a cable to the flipped patrol unit.